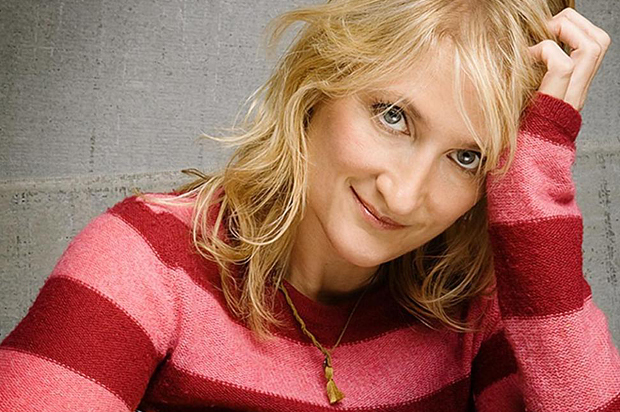 Jill Sobule is a Denver-born, Los Angeles based singer-writer in the smart and witty tradition of Randy Newman and Warren Zevon. She is a vocalist and guitarist with over eleven albums and more than two decades of recording and performing. Jill has mused, with great compassion, empathy, wit and considerable charm on a wide range of subjects. Jill is adored by critics and fans. This creative, independent, prolific artist continues to expand her repertoire in concert, on television and soon coming to the theater. Be prepared to be inspired as Jill lights up the intimate Baur’s Listening Lounge with her unique brand of music and storytelling. Please join us in welcoming her exciting return to Denver presented by Music Appreciation Society. Her recording career began in 1990 with her debut album Things Here are Different, produced by Todd Rundgren. She found commercial and critical success a few years later with her 1995 self-titled album, which introduced large radio audiences, and adoring critics, to her witty and personal songcraft. Jill Sobule included the original (and oft-banned) “I Kissed a Girl” as well as the satirical gem “Supermodel” which was featured on the hit soundtrack of the movie Clueless. Since then, she has continued to record, produce and tour with an ever-growing loyal fan base to critical acclaim. Her 2000 album Pink Pearl rightly takes its place among the most thoughtful, diverse and funny albums of the decade, taking on topics of faith, heartbreak, anorexia, and infidelity. Jill is considered among her peers as a pioneer in crowdsourcing and connecting directly with her audience without record company interference. Jill Sobule has performed with Neil Young, Billy Bragg, Steve Earle, Cyndi Lauper, Tom Morello, Warren Zevon and John Doe. She can be seen live as a solo performer as well as the co-star of The Jill & Julia Show, an unusual and mesmerizing combination of song and storytelling in collaboration with comedian, actress, and author Julia Sweeney. Jill also served as songwriter and composer for the hit Nickelodeon network show Unfabulous during that show’s 3rd season. She composed the music for the off-Broadway show Prozak and Platypus. Her songs have appeared in a multitude of films including Mind the Gap, in which She also co-starred, as well as television shows including Girls. She has been a political troubadour for NPR stations across America, has contributed essays to the Huffington Post, and regularly performs at TED conferences. Jill remains a prolific, and diverse, writer and performer. Her latest studio release, “Dottie’s Charms,” is the newest example of Jill’s creativity and whimsy. “Dottie’s” is collaboration between her and eleven of her favorite authors, including Rick Moody, David Hajdu and Jonathon Lathem, in which Jill tasked each to write a song based on a charm from a bracelet Jill purchased on Ebay. Jill then put the words to music. Jill’s idea was to bring the bracelets previous owner, “Dottie,” to life by imagining the importance of each charm to her life. You will not want to miss this compassionate Colorado rooted artist singing at Baur’s Listening Lounge. We’re sure you will enjoy her hit songs, and the song topics that touch so close to home.